A select group of engineering students from the National University of Singapore (NUS) will be able to study for a year in Oxford University from October this year. 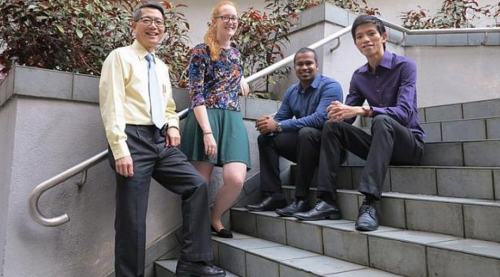 NUS secured the year-long student exchange programme with Oxford last month after five years of discussions. With this agreement, the faculty of engineering at NUS has become the only faculty in the world that has exchange programmes with both Oxford and the other renowned British institution, University of Cambridge. NUS started a year-long student exchange with Cambridge in 2010, and has since sent six students there. Each year, up to five NUS engineering undergraduates can study at Oxford, and up to two at Cambridge. The same number of engineering students from the British universities will do stints at NUS. Professor Victor Shim, NUS engineering faculty's vice-dean of external relations, said the clinching of both programmes showed "excellent recognition of the stature that our engineering faculty has globally". He first approached his alma mater, Cambridge, in 1999, with no success. But in 2008, both universities were receptive. "During that time, universities began to realise the importance of producing graduates who were globally ready to handle work environments and people in different parts of the world," he said. Professor Gopal Madabhushi, exchange coordinator at Cambridge's department of engineering, said: "The exchange with NUS provides students an introduction to Asian engineering practices. Such an experience can stand them in good stead during their long careers." The English medium of instruction, high-quality staff and rich campus life are draws, he added. Professor Frank Wood, student exchange coordinator at Oxford's department of engineering science, said NUS is a recognised leader in engineering and an obvious choice as its partner in Asia for its overseas programmes. Students from the rival British universities may finally attend classes and work on projects together at NUS. Prof Shim noted: "This is probably the only place in the world where both Oxford and Cambridge students can sit side by side, and compete in the same team instead of opposing teams." Oxbridge courses take a year to complete, so the exchange programmes are longer than others, which usually last a semester. Prof Shim said: "The longer duration also gives students more time to be immersed in the unique culture of Oxbridge." Third-year mechanical engineering student Rubegan Sondarajan, who returned from a year at Cambridge last June, said: "There was more emphasis on independent learning over there. We found it hard to adjust at first, but our schoolmates were friendly and helped us to settle in quickly." Cambridge third-year student Grace Beckham, 20, who has been attending classes at NUS since August, said: "I chose to come to Singapore because I wanted to experience a different culture. I've made many new friends and really gotten an insight into how another university works." Second-year biomedical engineering student Dylon Peng, 22, who has applied for an exchange to Oxford, said: "Oxford has an edge over other schools, as it is rich in traditions. It is also home to some of the brightest students and it would be interesting to interact with them."